Download and enjoy movies with Kodi for windows. Kodi is a popular software application that is becoming a rage now. The reason? It allows you to stream all kinds of content online, which includes films, TV shows, music and so on. The best part about using a Kodi app is that you can save the content and even share them with others. Also, Kodi is compatible with all the major platforms. You get Kodi for windows, for apple and android as well. Once you install a Kodi app on your device, it will take over both the external and internal storage. It has its very own user-friendly interface as well. Basically, Kodi apps are designed keeping in mind home entertainment. One of the major advantages of using Kodi for windows and other platforms is that Kodi allows you to play the streaming content in different formats, including the ones that aren’t commonplace. TVAddons is revolutionizing the Kodi add-ons through its new browser. When you are using Kodi apps, you should be able to use the various add-ons that are at your disposal. TV Add-ons has come up with the new GitHub Browser that is basically a repository for add-ons. This new browser makes it very easy for you to download and also install add-ons, as far as its question of Kodi apps. You will be able to download these add-ons directly, without having to go through third parties. It is very easy to install Kodi for windows. You will just have to visit the official page or website for downloading the software application and click on the download option. Once the download is complete, it shouldn’t be too hard to install it on your device. We recommend that you use a VPN for Kodi for windows. Now Kodi apps come with a security system of their own. They have an advanced security system which protects them. But in the case of Kodi apps, there are often third party add-ons, which go beyond the safety system. Now, most of the add-ons are good and useful, but some might contain malware and prove to be harmful. That is why it is better that you use a VPN. Also, it would optimize your streaming experience, because the whole purpose of using a VPN is to stream content online. Irrespective of what you do with your Kodi app and how you use it, it would remain anonymous with a VPN. This is for the same reason why VPNs are popular to send anonymous email. Using a VPN service would ensure that your IP address is kept hidden and anonymous at all times. That way, not even your ISP or internet service provider would be able to track you down. When you install Kodi for windows, you will be shown some methods which is important for installation. Make sure you opt for the method that you understand and know for sure. Otherwise, it might lead to problems in the long run. Le VPN is one reliable VPN service provider in the market today. Apart from ensuring 100% online security, Le VPN also allows you to unblock the websites. That means you can easily bypass the geo-restrictions and access Kodi anonymously anywhere. Additionally, VPN router offers VPN benefits to all your connected devices. 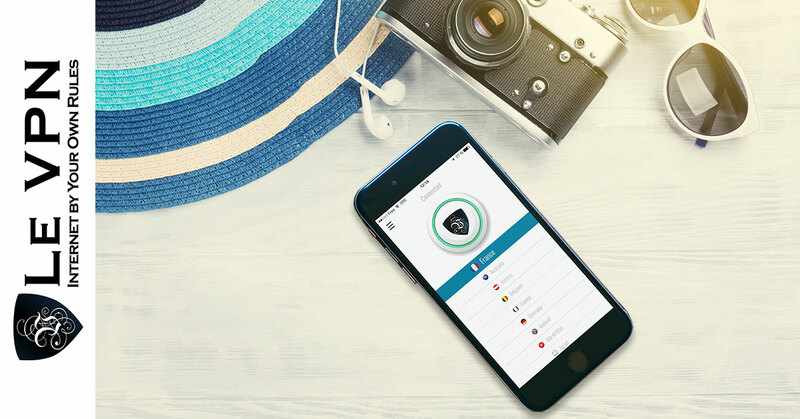 Above all, Le VPN is very affordable and easy to use. So, what are waiting for? Just subscribe to Le VPN, and enjoy Kodi for Windows, Android, iOS.